Stephen Mizzi joined the Faculty of Health Sciences in 2011 after thirteen years working as a Podiatrist with the Department of Health. 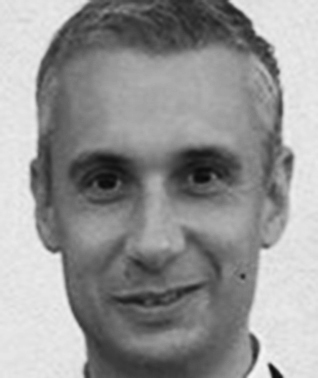 Stephen qualified as a state registered podiatrist from the University of Malta in 1998. He started his working career with the Department of Health as a Podiatrist and was later awarded the grade of a Senior Podiatrist in 2001. In 2009, Stephen was appointed to the post of Specialist in Podiatric Biomechanics with the Department of Health. During the years working with the Department of Health, Stephen continued his studies abroad where he was awarded the Bachelor of Science in Podiatry from Queen Margaret University College, Edinburgh in 2001. Immediately after, in 2001, he commenced a Masters Degree course at the University of Brighton, United Kingdom, where he obtained a Post Graduate Certificate in Podiatric Surgery (Theory) in 2002 and was awarded the Masters of Science in 2008. His research was entitled ‘Diabetic foot shape and plantar pressure distribution’. Presently, Stephen is working on his doctoral research at Canterbury Christ Church University, United Kingdom. As an assistant lecturer with the FHS he is responsible for mentoring students during their clinical placements and delivers lectures in Podiatric Dermatology, Local Anaesthesia, Metabolic & Neurological Disorders, and Footwear amongst others. Apart from academic interest, Stephen was also involved in professional activities, such as his involvement in the initiation of the Association of Podiatrists of Malta and was one of the founder committee members of the Association. He was later elected President in 2000, which post he kept for a year. Stephen is also involved in research and was a founder member of the Diabetic Foot Research Group (DFRG) which was launched in 2011. He recently became a certified thermographer in order to assist in the research related to the use of thermography in the diabetic foot as part of the DFRG.